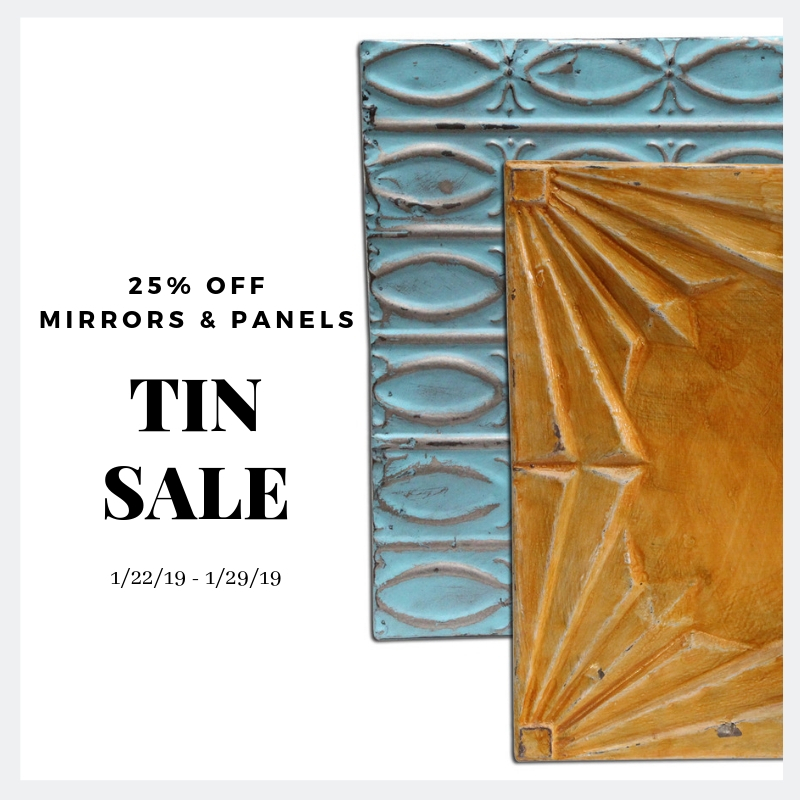 Olde Good Things is now discounting all Replica Tin, Antique Tin Mirrors & Tin Panels for 1 week only. When shopping the replica tin category, please keep in mind all those mirrors & panels are made to order, with a 3-4 week processing time. The majority of the antique tin mirrors is ready to ship.